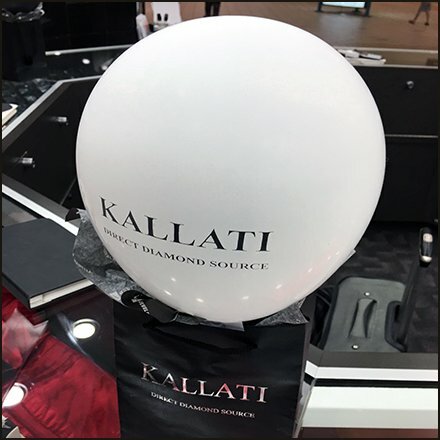 Support for this Littman Jeweler Diamond Party is provided by these Kallati Branded Shopping Bags and Inflatables. Kallati wanting both public participation as well as the gig as Direct Diamond Source and helped with these festive decorations and functional carry off shopping bags. Add a bit of tissue paper and the deal is done. This Kallati Branded Shopping Bags and Inflatables seen at Littman’s, Wyoming Valley Mall, Wilkes-Barre PA.